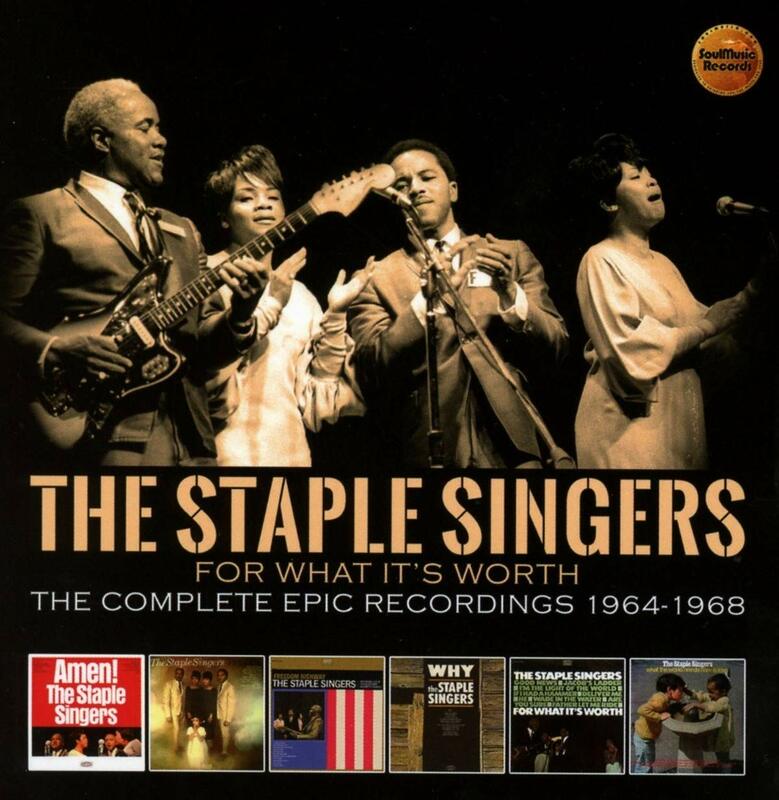 Given the immense popularity and historical importance of the Staple Singers, it’s hard to believe that some of their albums have not been reissued on CD. This new box set from the UK label Cherry Red offers the first-ever retrospective of the Staple Singers’ recordings for Epic. The six albums released by Epic between 1964-1968, featured in their entirety on this set, include Amen (1965), Freedom Highway (1965), and Why (1966), plus the CD debuts of Pray On (1967), For What It’s Worth (1967), and the always timely What The World Needs Now Is Love (1968). Of course Mavis Staples figures prominently, singing lead vocals on all six albums, but there are also several tracks highlighting Pops Staples as well as Pervis Staples. [Note: we also highly recommend the following Staple Singers releases from this same period, previously featured in Black Grooves: Faith & Grace: A Family Journey 1953-1976 (Stax/Concord, 2015) and Freedom Highway Complete: Recorded Live at Chicago’s New Nazareth Church (Legacy, 2015)]. 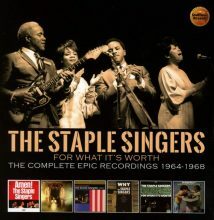 This entry was posted in Gospel Music and Spirituals and tagged Brenda Nelson-Strauss, CD review, Cherry Red, For What It's Worth: Complete Epic Recordings 1964-1968, Gospel, The Staple Singers by aaamc. Bookmark the permalink.